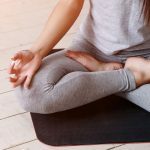 8 Yoga Mudras To Overcome Any Ailments!! Yoga is not only an exercise but a form of spiritual practice to improve you physical, mental and spiritual well being. 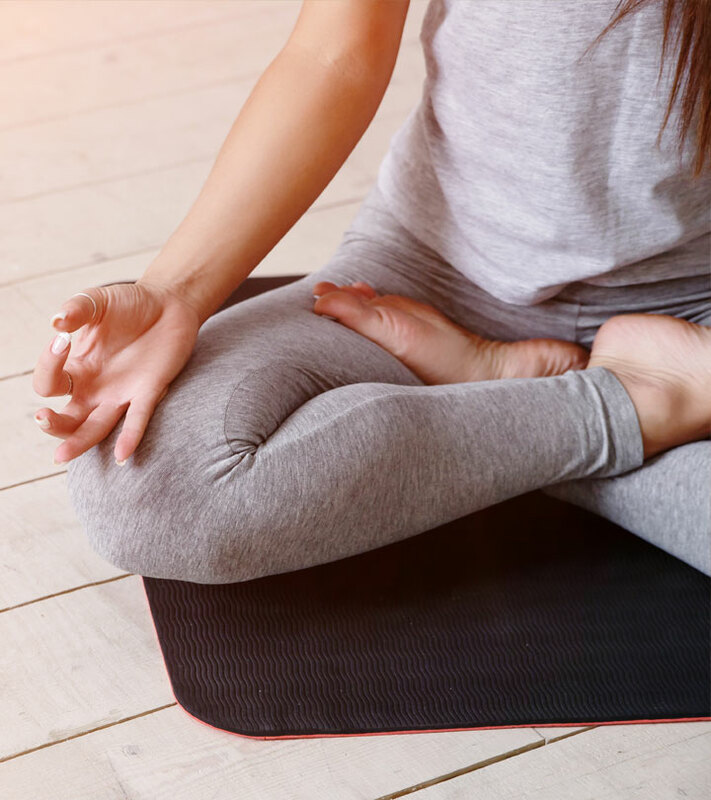 It doesn’t only refer to twisting and curling your body into different shapes and poses, but it also involves some specific mudras posed during meditations. Mudras mean gestures adopted during pranayams and meditations that directs flow of energy into our body. Yogic tantras say that these mudra yoga techniques stimulate different areas of the brain. 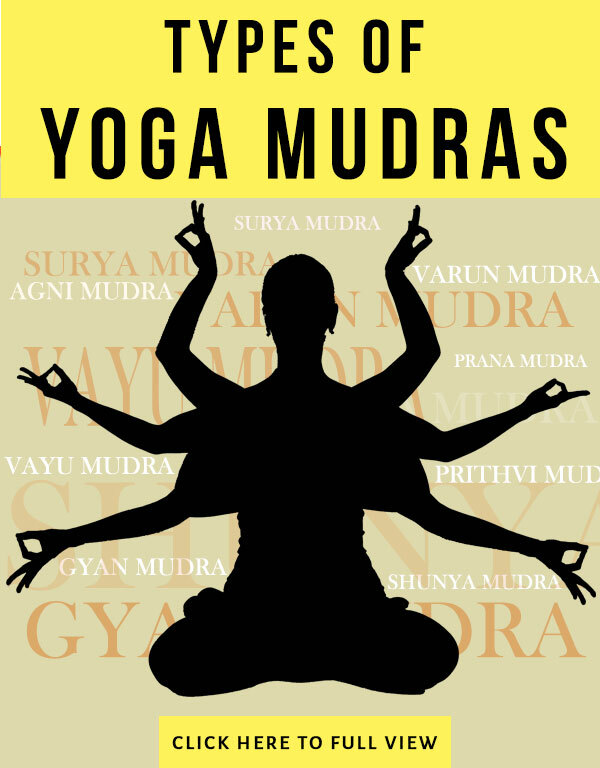 There are many different yoga mudras and each of them have a different benefit. Below is the explaination to each. This is the first yoga mudra pose known as Gyan Mudra or the Mudra of Knowledge. Practice this mudra when doing meditations. It’s perfect when you do it early in the mornings with a fresh mind. Touch the tip of your index finger with the tip of your thumb. The other three fingers, you may keep it straight or just keep it free, doesn’t matter even if they are slightly bent. 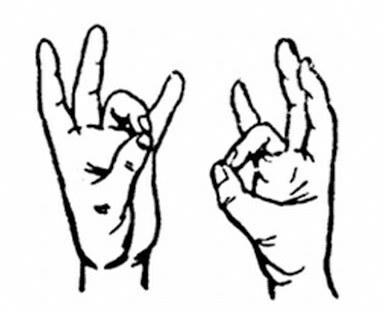 This is a very commonly used mudra when practicing meditations. This is a very beneficial mudra and anyone can practice this. As the name suggests, this mudra is meant to increase your concentration and memory power. This mudra sharpens your brain power. It has the ability to cure insomnia. Practice this mudra regularly to heal yourself of all mental and psychological disorders like anger, stress, anxiety or even depression. 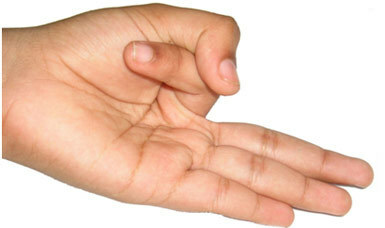 This mudra can be practiced in a standing, sitting or lying down posture. It’s easy to do. Fold your index finger. As you fold your fingers you can see two bones. These are called phalanx bones. When you have folded your index finger the second bone that you see, you have to press it with the base of your thumb just as shown in the above picture. 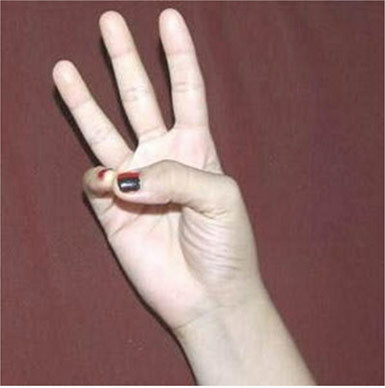 The rest of the three fingers should be kept extended as much as possible. Do this at any time of the day as per your convenience. There is also no compulsion of doing this at an empty stomach. You may also practice this mudra with a full stomach. Once you achieve the benefits from this mudra, stop doing it. 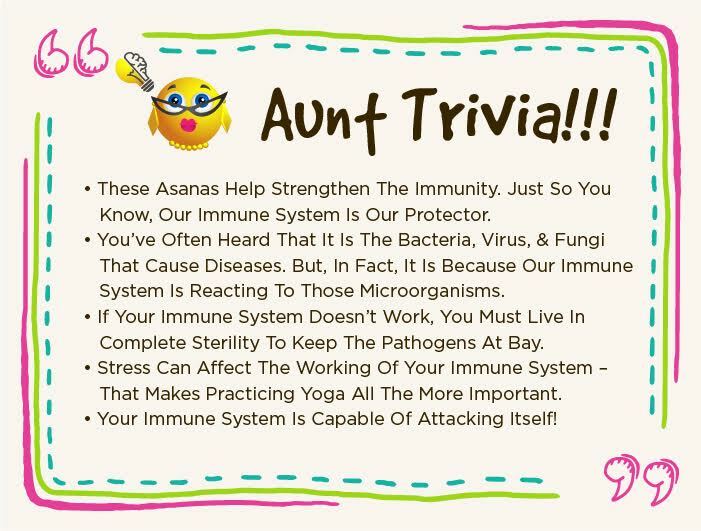 After a certain time, it may cause imbalance within your system. As the name suggests vaayu mudra, it balances the air element within your body. This mudra releases excess wind from stomach and body thereby reducing rheumatic and chest pain. Fold your ring finger and press the second phalanx with the base of your thumb. Keep the rest of the fingers straight. This mudra should be practiced only in sitting position early in the morning with an empty stomach. Maintain this mudra for atleast 15 minutes every day. But if you are suffering from acidity or indigestion, avoid this mudra. It helps to dissolve the extra fat boosting metabolism and controls obesity. Touch the tip of your ring finger with the tip of your thumb. Pressing the tips of these two fingers, keep the rest of the fingers extended out. 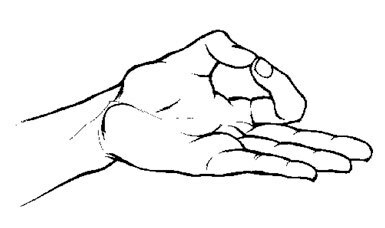 It is preferable that you perform this mudra in the morning. However you may even do it at any time of the day and for any duration. Sit in a padmasana keeping the palms of both your hands on your knees with straight elbows. Perform this asana when you feel stressed out and exhausted. Padmasana accompanied by this mudra will immediately perk you up. This is also an amazing mudra yoga for glowing skin. Nothing at all. Perform this asana freely. Helps strengthen weak and lean bones. Also increases weight of people suffering from low weight. 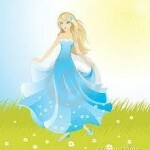 It reduces weakness, exhaustion and dullness of mind. This mudra makes you more beautiful by improving your complexion and giving a natural glow to your skin. This is the best yogic mudra for your outer beauty. It has a positive effect on your skin and keeps it away off all problems. A very effective yoga asana for your overall health let us learn to do this mudra with perfection. Lightly touch the tip of your little finger with the tip of your thumb. The rest of the fingers should be kept straight. There is no specific time to perform this mudra. 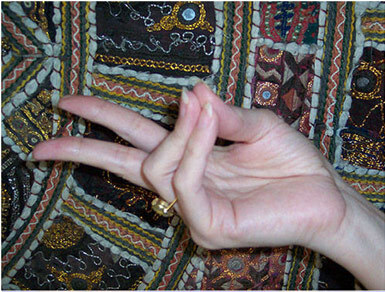 You may do it at any time of the day and in any position, but sitting cross-legged when doing this mudra is preferable. Take care not to press the tip of the little finger near the nail. That will cause dehydration instead of balancing the water level in your body. Varun Mudra balances the water content in our body. It activates fluid circulation within the body keeping it moisturized always. It cures all skin issues like dryness, skin diseases and skin infections. Moreover it also prevents the appearance of pimples for a longer time. It adds a natural glow and luster to your face. Varun Mudra also relieves and prevents any muscle pains that you may suffer from. Press the first phalanx of your middle finger with the thumb. 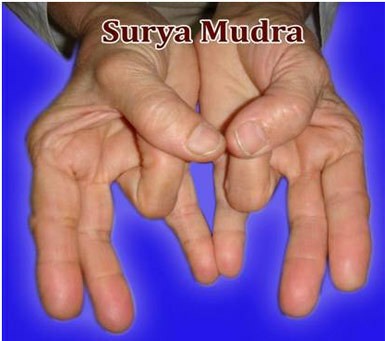 Practicing this mudra with full concentration will cure earache within 5-10 minutes at the most. It is also very helpful if someone is deaf or mentally challenged. But those who are handicapped inborn won’t benefit from this mudra. After you are cured of these diseases, stop practicing this mudra. Press your ring finger and press it with the thumb just as shown in the picture. It is quite beneficial when it comes to reducing bad cholesterol. Want to lose weight? This is an amazing yoga mudra for weight loss that comes handy. 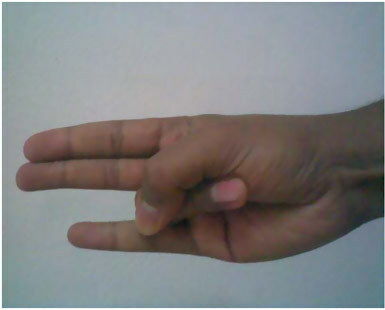 This is a very important mudra as it activates the energy in your body. This yoga mudra pose should be accompanied along with padmasana. Bend your ring finger and little finger and touch the tip of both these fingers with the tip of your thumb. There is no specific time to perform this asana. Any time of the day will be suitable. This mudra improves your immune system. It also increases your eye power and also cures any sort if eye diseases. It reduces fatigue and tiredness. These are some very important mudras in yoga and are beneficial for your health. Practice them everyday.